It features open, rolling terrain, along 185 acres, with many tree-lined fairways, ponds, and slow-moving streams. All of this combines to create a visually beautiful experience. This Par 72 course is configured to produce yardages ranging from 5,124 yards from the forward tees to 7,151 yards from the championship tees. ‣ $22 per person, seven days a week. 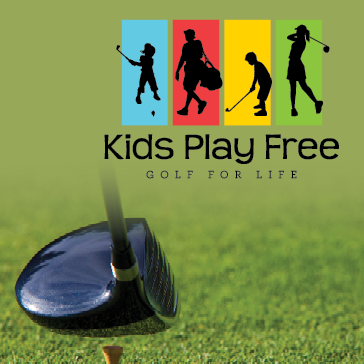 ‣ Juniors ages 16 and under play for free with a paying adult. 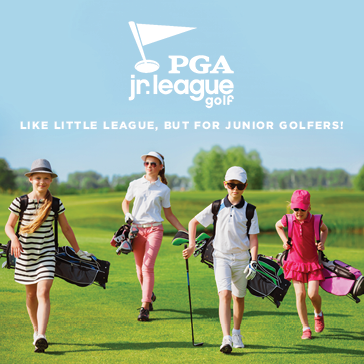 ‣ Juniors get a free small bucket of balls with an adult's range ball purchase. 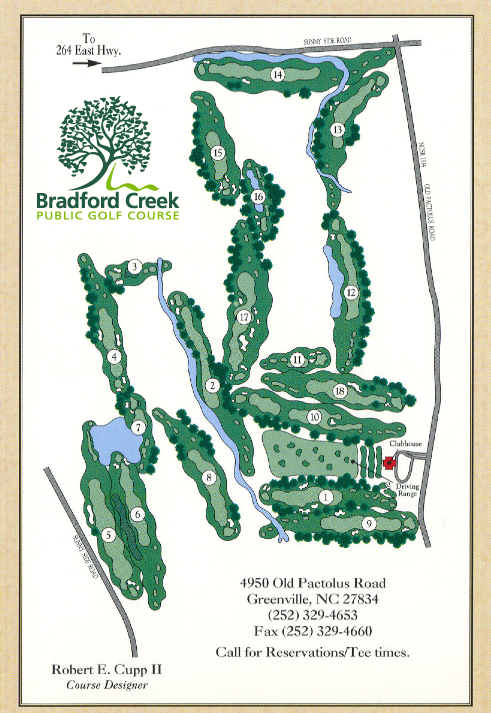 Bradford Creek Public Golf Course is a true public course, ideal for golfers of all skill levels, while offering challenges to the most experienced golfers who wish to play the back tees. It features open, rolling terrain, along 185 acres, with many tree-lined fairways, ponds, and slow-moving streams. All of this combines to create a visually beautiful experience. This Par 72 course is configured to produce yardages ranging from 5,124 yards from the forward tees to 7,151 yards from the championship tees. 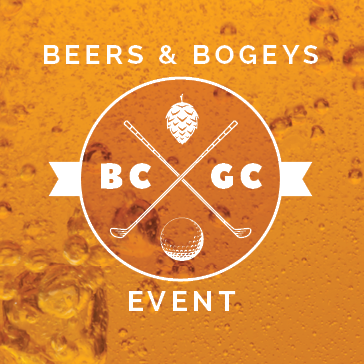 Our course features excellent Bentgrass greens that are considered some of the best in the region. Each green has been designed so that a simple change in pin placement can alter shot strategy, thus ensuring a new experience for golfers every time they play the course. Bradford Creek also provides the only lighted public driving range in the region. 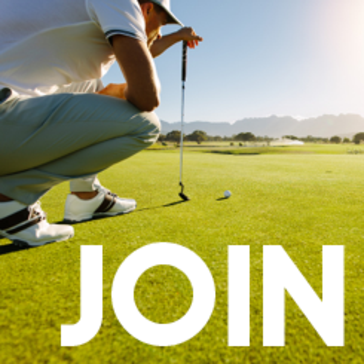 Come loosen up before a round or just hit a bucket of balls after work or dinner. Owned by the City of Greenville and managed by Billy Casper Golf, this course is in a peaceful, rural setting with an atmosphere will make you want to come back again and again… at a price that will LET you come back again and again! *Driving range hours altered for maintenance. Driving range lights will be utilized Thursday through Sunday during golf season. 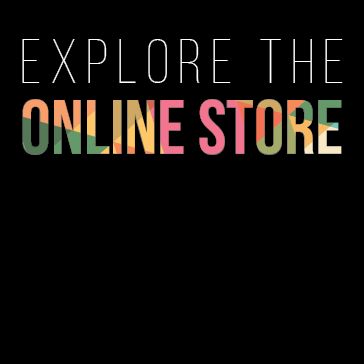 Purchase gift cards, range passes and special online bundles throughout the year in our online store!